“Samurai: Japanese Armor from the Ann and Gabriel Barbier-Mueller Collection” will be on view at the Los Angeles County Museum of Art’s Resnick Pavilion from Oct. 19 to Feb. 1, 2015. Kiyotoshi, Munekiyo, Ryūsuiken, Tengu tōsei gusoku armor, Japan, Late Edo period, 1854, © The Ann & Gabriel Barbier-Mueller Museum, Dallas. Photography: Brad Flowers. Travel back in time and discover remarkable objects that illuminate the life, culture, and pageantry of the samurai, the revered and feared warriors of Japan. 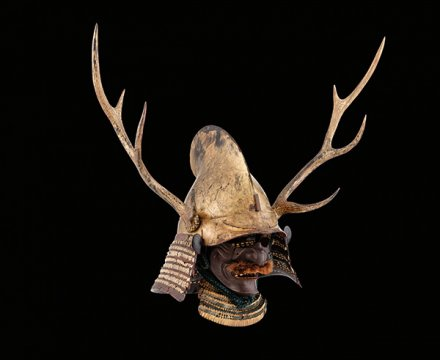 The Samurai Collection of Ann and Gabriel Barbier-Mueller, one of the finest and most comprehensive collections in the world, presents a treasure trove of battle gear made for high-ranking warriors and daimyo (provincial governors) of the 14th through 19th centuries. 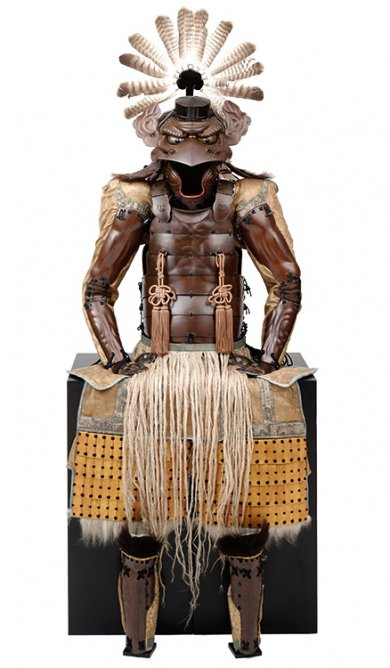 The exhibition illustrates the evolution of samurai equipment through the centuries, featuring more than 140 objects of warrior regalia, with full suits of armor, helmets and face guards, weapons, horse trappings, and other battle gear. Even after 1615, when the Tokugawa military dictatorship brought an end to battle, samurai families continued to commission splendid arms and armor for ceremonial purposes. Because the social rank, income, and prestige of a samurai family were strictly determined by the battlefield valor of their ancestors, armor became ever more sumptuous as the embodiment of an elite warrior family’s heritage. The exhibition is accompanied by a fully illustrated catalogue with essays by some of the leading Japanese samurai armor experts. To buy the catalogue, click here. Organized by the Ann & Gabriel Barbier-Mueller Museum, Dallas. To become a LACMA member and see the exhibition free, click here. To reserve at ticket, click here. LACMA is lcoated at 5905 Wilshire Blvd., Los Angeles. Museum hours: Monday, Tuesday, Thursday from 11 a.m. to 5 p.m.; Friday from 11 a.m. to 8 p.m.; Saturday, Sunday from 10 a.m. to 7 p.m. Early closure on Saturday, Nov. 1. General admission plus specially ticketed exhibitions: $25 for adults, seniors (62+) and students with valid ID, free for children (17 and under) and members. For more information, visit www.lacma.org. Eboshi Kabuto and menpō. Late Muromachi to Momoyama period: late 16th century. © The Ann & Gabriel Barbier-Mueller Museum, Dallas.